We harness the power of print to help get you noticed. Print is personal, physical, powerful. It persuades and informs, makes the sale and drives online traffic. Print motivates, inspires, and touches the heart. Reliable, targetable, and measurable, print is the bold and commanding complement to any integrated campaign. 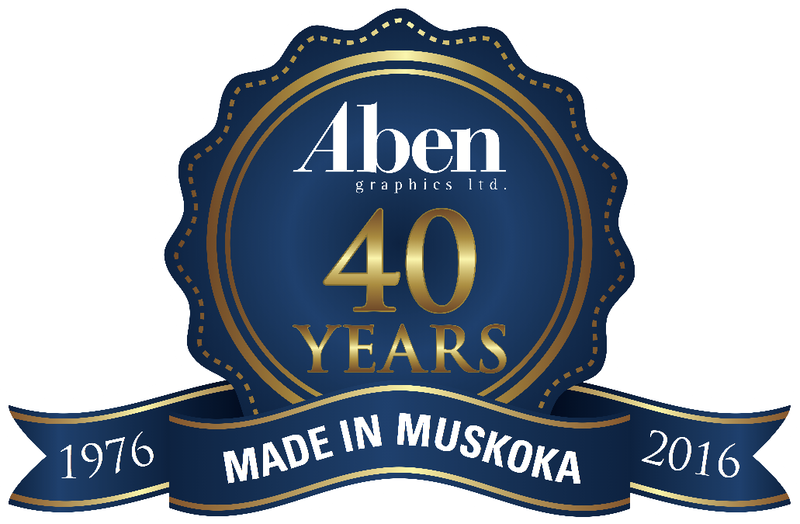 A family-owned company in Muskoka since 1976, Aben Graphics partners with its clients to offer quality printing and graphic services that get results. From concept and graphic design to the finished product, our expert craftsmanship is the hallmark of all our brochures, flyers, direct mail ads, signs, display graphics and promotional ad specialty products. Contact us today to find out how you can profit through print! Greg Reuvekamp - MBRP inc.
Frank S. DeCaro - Kimberly-Clark Inc. Copy Centre for Quick Print Products. Contact Info and Hours.